13-year-old Nelly’s holiday in Romania takes a dramatic turn when she discovers that her family plans to relocate there. She runs away, but walks into the hands of kidnappers who try to destroy her father’s business. With the help of two young Roma siblings, Nelly makes an adventurous escape. Born in 1966 and raised in Munich, he now works in Berlin. His documentaries have been shown at film festivals all over the world. From 2008–2013 Wessely was professor for documentary filmmaking at the International Film School Cologne. 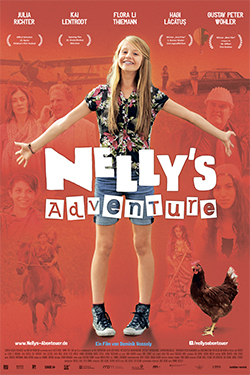 “Nelly’s Adventure” is his debut fiction film.